I read an interesting article by a doctor who has two children on the Autism Spectrum: http://www.autism-watch.org/about/bio2.shtml. Dr. Laidler had some valid points he made. This brings me to, of course, question the diet we have Joshua on, as if it really makes a difference. Honestly, I don’t really know, definitively, but he’s healthy and making progress. The diet they were using for their kids was the standard, Gluten Free/Casein Free, “Autistic Diet”, and it has holes in it. We will continue to re-evaluate and get him the treatment that we think will help him. Eating a healthy diet and removing as many toxins as we can, will only help his body and I don’t think there’s anything wrong with that. 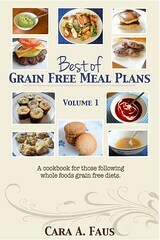 I have said it before; our entire family is making a more healthy change in our diet, regardless. I appreciate this website and learning the medical side of autism and their discussion, scientifically, as to what has been shown to work. It’s good to get a balanced view, although, as a mother, you do have to hold onto some hope. It is a constant reminder, however, that we are on a marathon and not a sprint. Being educated and making use of helpful resources that don’t harm Joshua is what our ultimate goal is. In the mean time, we also see the value in, simply, Joshua, and enjoying him as we travel this journey together, equipping him, his siblings, and ourselves, to do what we can to help Joshua live up to his potential. I did get him down, by the way. His smile is quite disarming! What a lovable and delightful boy he is! This entry was posted on Saturday, March 6th, 2010 at 10:46 am	and is filed under Autism Diet, Autism Resources, Autism Treatment, General Autism Info. You can follow any responses to this entry through the RSS 2.0 feed. You can leave a response, or trackback from your own site. The GFCF diet may help in some bawl problems. However, it is yet another fad diet. One cannot choose an autism treatment due to the media portraying it as a miracle treatment. There are some effective alternative autism treatments such as tactile, picture-exchange-communication, and speech therapy. At the same time, there are also quack treatments such as clay baths, charged charcoal, blood zapping, collodial silver, and even chemical castration. If a practicioner is playing on your emotions and pressuring you to take his or her therapy, he or she is probably a quack or just an unethical practicioner. Try not to think of your children as lost or taken, but instead as ones with unbridled potentials. There are the standard therapies that the medical establishment have been seen as beneficial: ABA, Speech, of course, Floortime, etc. I would agree with your view of being cautious of the alternative treatments that play on one’s emotions. I would definitely stay clear of those. However, there is the importance of being an “educated consumer” and check out not only the effectiveness of any treatment, but also, the impact on one’s family and the affected child. 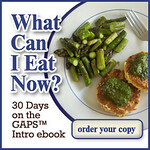 I’m an advocate of the GAPS diet, as I said, as it combines the Specific Carbohydrate Diet (with modifications of what is allowed/not allowed for eating), but adds the healthy supplementation to promote healing (Cod liver Oil, probiotics, digestive enzymes, for example) and gentle detoxification (carrot juice, and Epsom Salt and Apple Cider Vinegar Baths, for example). 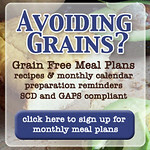 Some people benefit from just using the GFCF diet and some don’t. In my opinion, I would go the next step on the diet if the GFCF doesn’t help as there may be more toxins in the child than can be addressed with the GFCF diet. There are processed food and sugar allowed, for example, and that can feed the yeast in the gut which may be unhealthy. Your last statement is also so important. The way I look at it is EACH child is like a puzzle and the challenge is to try to figure out how they are put together in the best possible way for their own good and benefit to our world. Having patience and an appreciation for the gift they are is essential while enjoying the journey along the way. there has been no permanent cure for autism yet but i think stem cells could also help`’.